I’ve been to Auckland’s Britomart twice in the last two months and both times I’m sure new bars have popped up that weren’t there the day before. There are now 13, but by the time you get there, there’s likely to be 18. The latest one had me twirling in circles, eyes wide and muttering ‘what is this place?’ like the McDonalds McCafe lady. 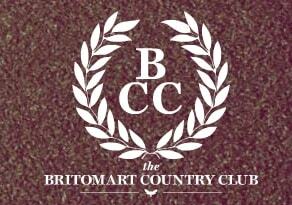 It was none other than Britomart Country Club, next to 1885 Britomart – which was my last discovery. Its walls are shipping containers that literally surround a derelict piece of carpark. But thread yourself down the right-hand side entrance and what opens up is an ‘awfully, awfully’ kind of high tea/golfing/Eton old boys kind of bar with a little lawn and cobblestones and a circular bar with a sizzling barbecue. There are tables for dining and gourmet pizzas on the menu, as is high tea in dainty china cups and saucers and Pimms served in Agee jars. It’s all covered in a high tent awning, which I believe can fold back. A couple of steps up on the wooden decking is the main bar and the lavvy’s are down the far end and you can practice your putting on a wee green or play petanque in between imbibing. It’s waaay cool and I hope that it is a permanent establishment and not just a temporary bar for the Rugby World Cup only to be returned to sad carpark status at the end of October. I can see Eiffel Tower potential here! The only drawback to this new burgeoning Britomart hub of nightlife vibe is the car parking that takes up the entire middle. I mean, don’t get me wrong, it’s as useful as a flushable loo (and avail both I did), but sadly just as much of an eye-sore. You no more want to thread yourself through a wasteland of cars enroute from BCC to Northern Steamship, than you want to walk through a field of toilets. But apart from that, Britomart is the new Viaduct. It’s packed of an evening and each bar is unique, quirky and something well worth coming down here for.